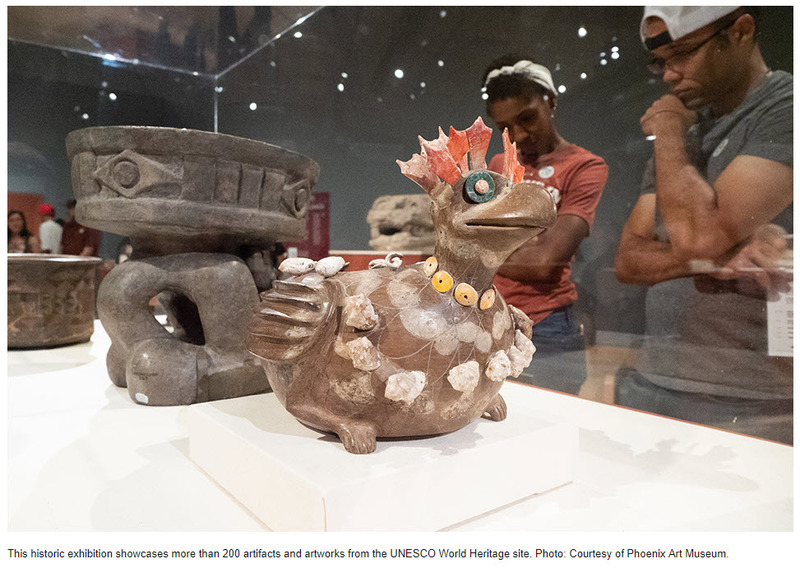 PHOENIX, AZ.- Phoenix Art Museum is presenting Teotihuacan: City of Water, City of Fire, the first major U.S. exhibition on Teotihuacan in more than 20 years from October 6, 2018, through January 27, 2019 in Steele Gallery. This historic exhibition, organized by the Fine Arts Museums of San Francisco (FAMSF) and the Los Angeles County Museum of Art (LACMA), showcases more than 200 artifacts and artworks from the UNESCO World Heritage site. This exhibition presents a rare opportunity to experience both previously and recently excavated objects drawn from major collections in Mexico, many of which are on view in the United States for the first time and include mural fragments, religious offerings, reliefs, and more. A contemporary of ancient Rome, which reached its height in 400 CE, the ancient metropolis of Teotihuacan is one of the largest and most important archaeological sites in the world and the most-visited archaeological site in Mexico. On view in the United States for its final run at Phoenix Art Museum, Teotihuacan: City of Water, City of Fire is a dynamic exploration of Teotihuacan as an urban environment, shedding new light on the striking parallels between urban life in the ancient Americas and life in contemporary cities. Located approximately 30 miles outside of modern-day Mexico City, Teotihuacan was founded in the first century BCE near a set of natural springs in an otherwise arid corner of the Valley of Mexico. At its height a few centuries later, the city covered nearly eight square miles and featured enormous pyramids, long avenues, and residential compounds. Highlights of the exhibition include monumental and ritual artifacts from both recent and historic excavations of the three largest pyramids at Teotihuacan—the Feathered Serpent Pyramid, the Moon Pyramid, and the Sun Pyramid. Ceramics and stone sculptures from the city’s apartment compounds, which were inhabited by diverse peoples from many parts of Mexico, also are on view. The Mexican-led team of archaeologists who worked at the main pyramids includes specialists from around the world, including faculty from ASU’s Teotihuacan Research Laboratory (School of Human Evolution and Social Change). Together, they have made significant discoveries since the last major exhibition of Teotihuacan artifacts in the early 1990s. By bringing objects from various excavations together and encouraging visitors to understand the context of specific sites within the city, Teotihuacan: City of Water, City of Fire provides visitors with a special chance to learn more about a significant place in the Americas’ historical and cultural landscape. Over the course of the exhibition in Phoenix, the Museum will partner with ASU and its world-class archaeology faculty to create community-wide, all-ages programming to enhance visitors’ experiences of these World Heritage archaeological treasures, on view for the first time in the state of Arizona. 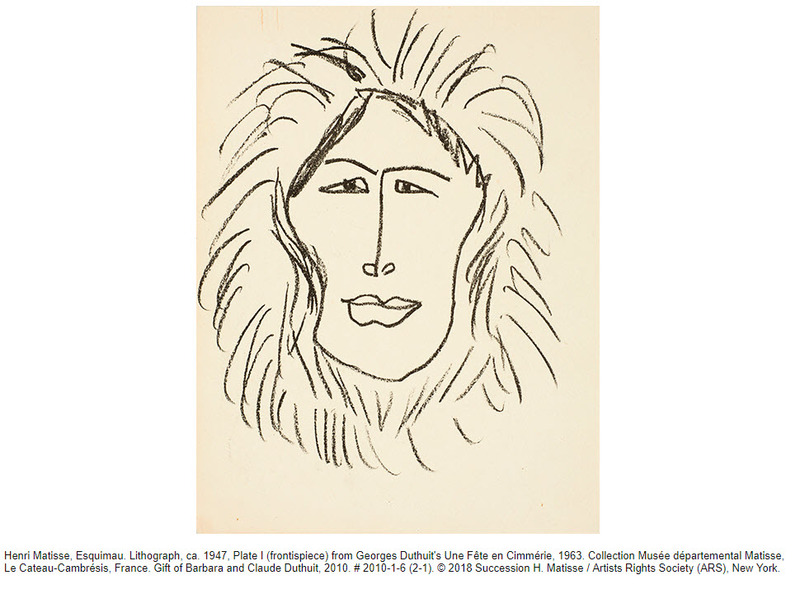 "The Heard Museum is honored to show these rarely seen works by Matisse and to share this extraordinary story with our visitors,” said David M. Roche, Heard Museum director and CEO. “Of particular significance to us is the effort this story inspired to reunite pairs of Yup'ik masks that, due to a variety of circumstances, have been separated by time and great distances. It's a thrilling and emotional experience to see them together again and advancing this type of scholarship is central to our mission."